Your Partner for Innovation and Technology Management: Dynamic, agile innovation and technology consulting for your success in the digitale age. From scouting, towards creation of new business models and services, to the coordination and support of a succesful innovation execution. We are spot on, at the pulse of time. Empathic, with clear focus and eyes on your customer and consumer needs. Today and tomorrow. That creates advantages, added value for your company in our digital age: International brand and consumer packaged goods companies, leading retailers as well as tech companies and startups as ecosystem partners. We from EARLY BRANDS Innovation & Technology Consultants are first choice for them – when they wanna rock. Get holistic, innovative solutions with high practical value and individual „expedition teams“. Let yourself be enthused by EARLY BRANDS! In this leadership interview, our Managing Director Alexander gives personal insights on what distinguishes EARLY BRANDS, how value is created on EARLY BRANDS expeditions and what’s important in order to create added value for our customers in the future. 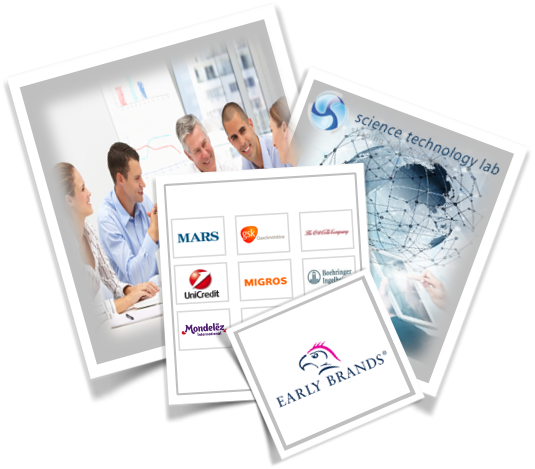 EARLY BRANDS Insights: EARLY BRANDS has been around for more than 10 years and supports a variety of worldwide leading brand companies with innovation and technology topics. How did it all come about? "We think and act empathically and holistically and go beyond market and industry boundaries." "As expert for research and technology topics, we offer practice-approved solutions for productivity and innovation strength in our digital age." "In ambitious B2B and B2C strategy and implementation projects concerning innovation and technology, our teams achieve high profit contributions." "We think and act agilely. With our creativity and innovation tools and methods we are more dynamic and develop creative future concepts." "With temporary and flexible teams and partners and our worldwide innovation and technology network we always have the right partners for you."